Now sold! 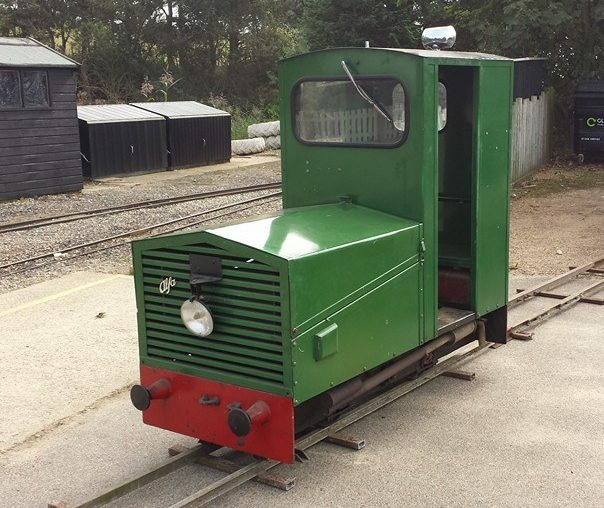 Built by David King in 1980, ‘Weasel’ is 10 ¼ inch gauge four wheeled internal combustion locomotive thatspent the majority of its life at the Wells Harbour Railway. After replacement by newer locomotives in later years, ‘Weasel’ was stripped down for a rebuild which never materialised. The locomotive is currently dismantled. Included in the price are the rolling chassis, a secondhand 3 cylinder Kubota diesel engine (not tested), Eaton 11 hydrostat (like new) and all bodywork. Dimensions are length 2000mm, width 770mm, chassis 630mm Height. Viewing of the locomotive welcome. Please phone 01472 604657 or email info@mrwrailways.co.uk for further details.